However, the National Employment Law Project (NELP), which has been outspoken in its criticism of virtually every labor policy advanced by the Trump Administration, attempts to spin a different story about OSHA enforcement. 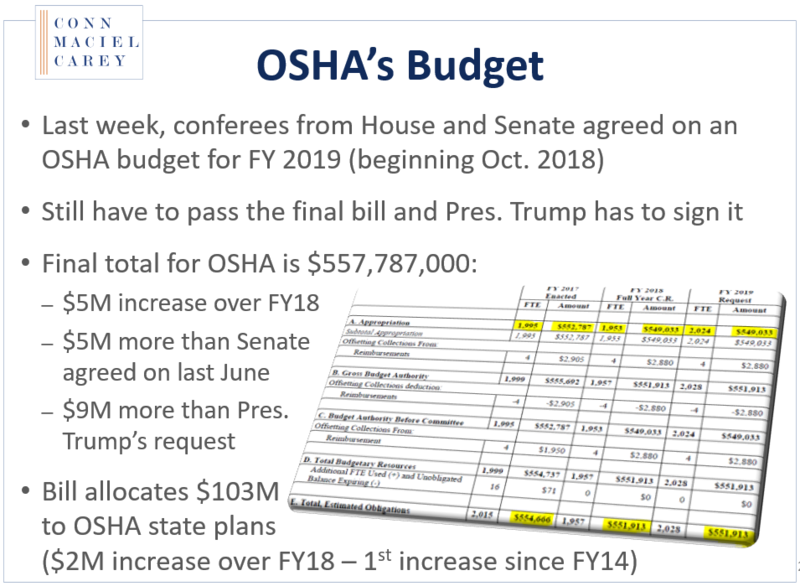 In June 2018, NELP published a white paper: “OSHA Enforcement Activity Declines Under the Trump Administration,” which posits that the “data is clear” in terms of a reduction in OSHA enforcement from the end of the Obama Administration into the Trump Administration. But, NELP’s data is misleading, at best. Here is one way the NELP paper tortures statistics to a false confession. The EWS assigns different values, known as Enforcement Units (EUs), to different categories of inspections. 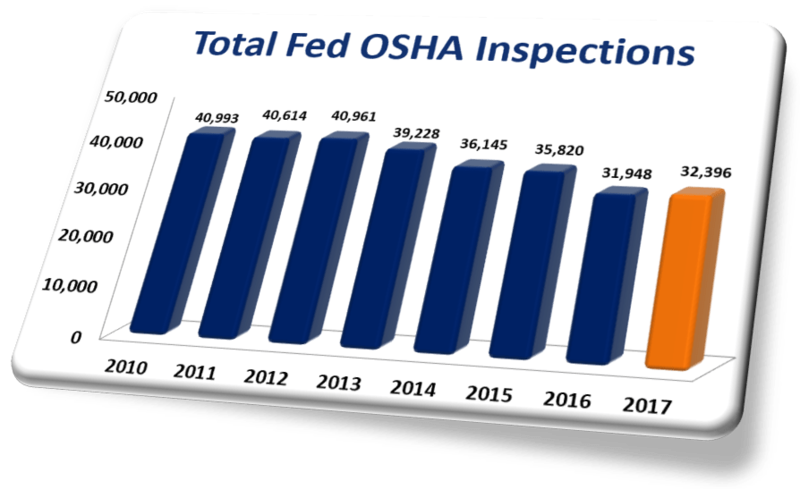 Thus, since FY 2016, OSHA has measured agency enforcement activity not only by the total number of site inspections, but also by the number of Enforcement Units. 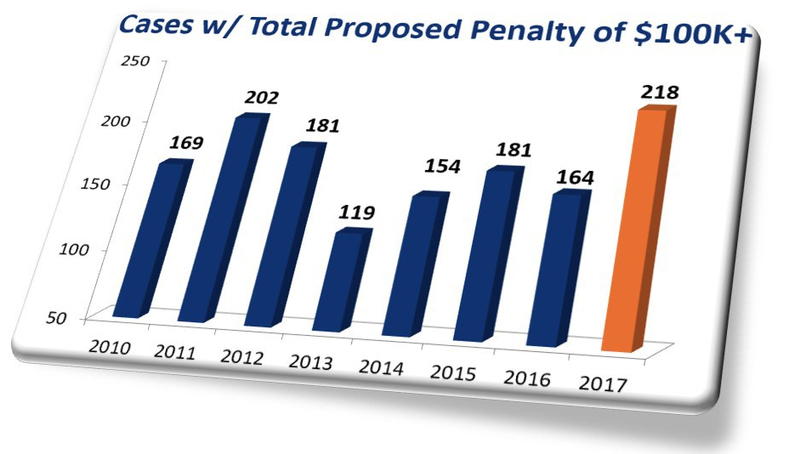 The NELP paper compares EUs for FY 2017 (41,829) with the number of EUs for FY 2016 (42,900) to conclude OSHA enforcement is in decline under Pres. Trump. Setting aside the marginal difference in EUs (approx. 2%), a closer look at the source data shows how flawed NELP’s analysis is. For example, one major category of EU data is “significant cases.” In 2016, OSHA defined “significant case” to mean an enforcement action with a penalty of at least $100,000, and those cases received the most EUs of any other category in OSHA’s EWS. 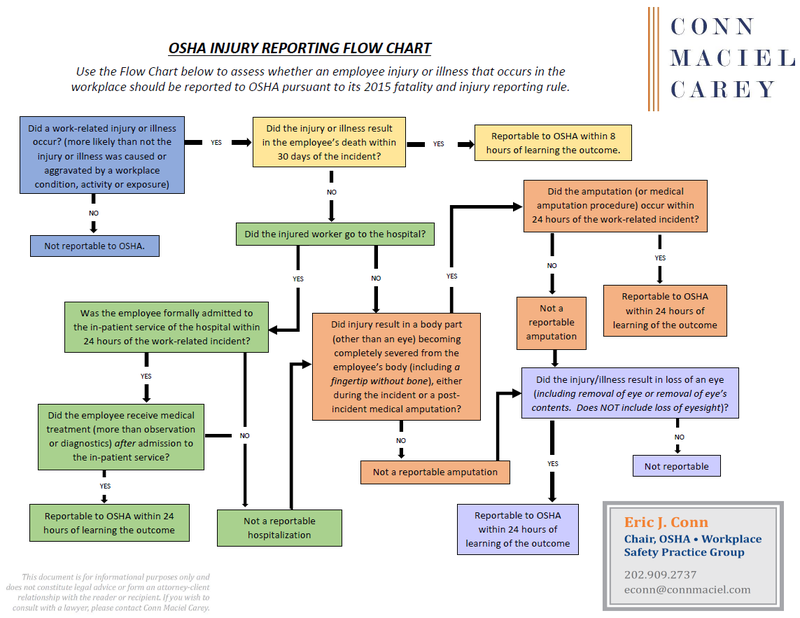 In 2017, however, OSHA redefined significant case to require a penalty of at least $180,000. As a result of the higher threshold, the official number of significant cases dropped by 64 cases from 2016 to 2017, which effectively reduced the EU count by more than 500. However, if you actually compare apples-to-apples from 2016 to 2017, and credit enforcement actions with penalties of $100K+ with the same EU weight across both years, the EUs in 2017 did not fall. In fact, there were 61 more $100K+ enforcement actions in 2017 than in 2016 (not 64 fewer). That 125 significant case difference would translate to 1,000 more EUs for 2017, which means enforcement activity has not dropped during the Trump Administration by that metric, or, as discussed above, by any other metric.